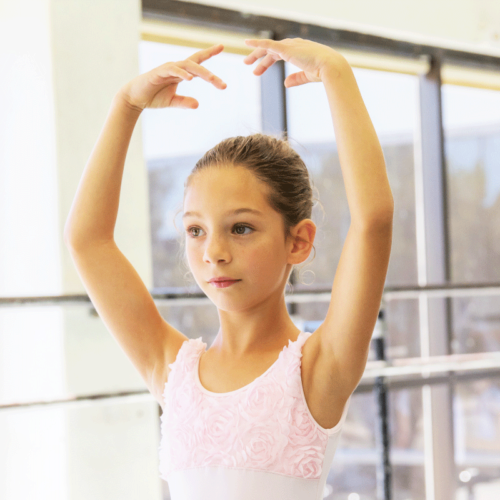 Ballet Level 2 continues to develop classical ballet technique with an emphasis on musicality and movement quality. Barre work, stretching, center work, port de bras, petit and grand allegro. Full-Time – 2 technique classes per week (choose two)** Light Pink Leotard, spaghetti straps Pink tights and light pink slippers, hair in neat bun. **Full time is 2 classes per week but students may take 1 class per week. Dancers typically take one year of Ballet II.